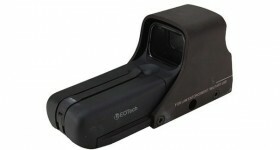 The EOTech 512 proves itself to be a excellent workhorse holographic sight that won’t break the bank. Read the full review for more. Our reviewer takes a gamble on a budget holographic sight and is pleasantly surprised. The TRUGLO Tru-Brite is comparable to sights costing five times as much, making it one of the best kept secrets in the shooting world. The Burris FastFire is an great choice for shooters who want a dependable, fully featured holographic sight that doesn’t cost as much as some of the fancier, military-grade sights on the market. 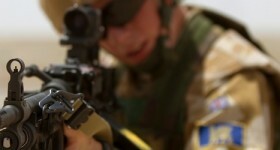 Favored by the U.S. military, the EOTech 552 is rugged, dependable, and accurate. Considered by many shooters to be the gold standard by which all other holographic sights should be judged, the 552 is deserves serious consideration by anybody who won’t settle for less than the best. 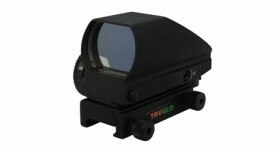 While holographic sights are a relatively recent innovation, they have revolutionized the shooting world. 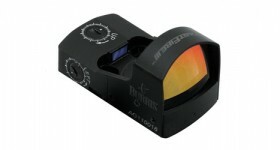 Start here to learn how holographic sights work and how they can help you become a better shooter. 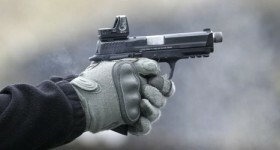 Holographic sights were adopted for sport shooting and hunting very early on, but it would take time before the technology became small and light enough to be practical for personal defense and combat. 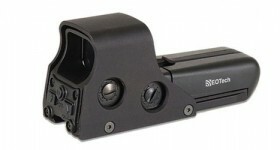 However, products like Trijicon’s RMR have proven that holographic sights have a true home on defensive weapons. While Trijicon is less well known for their holographic sights than companies like EOTech, their early innovations helped lay the groundwork for many modern holographic weapon sights. Recently, products like the small, lightweight RMR have proven that Trjicon is still breaking ground in the world of high quality shooting optics. 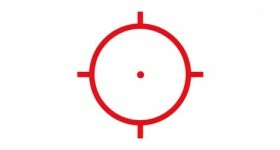 Holographic weapon sights were initially use within the hunting and sporting world. However, as firearms instructors began to realize the benefits of holographic sights in combat, they quickly gained popularity in for use in law enforcement and military fields.